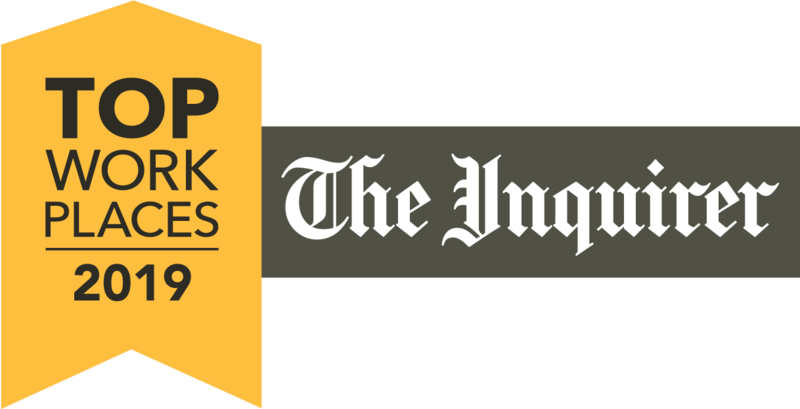 These days, Robinson works as a quality assurance engineer for a tech firm in Philadelphia. And she’s no longer the only female in the room where it happens — nor is she likely to find herself alone at professional gatherings in the city. According to a new survey from Smart Asset, in just the last two years, Philadelphia has risen from last place in its rankings of the top 15 cities for women in tech to fourth place. In the City of Sisterly Affection, nearly a third of jobs in tech are now filled by women. Things may be improving but it still takes persistence to enter and thrive in the field. That’s why Robinson recently joined a few co-workers who took time off on a Saturday morning to gather at the Bresslergroup offices to help a handful of girls program a Raspberry Pi — a mini-computer that easily and affordably lends itself to the creation of robotic and smart home applications — to operate as a light switch. 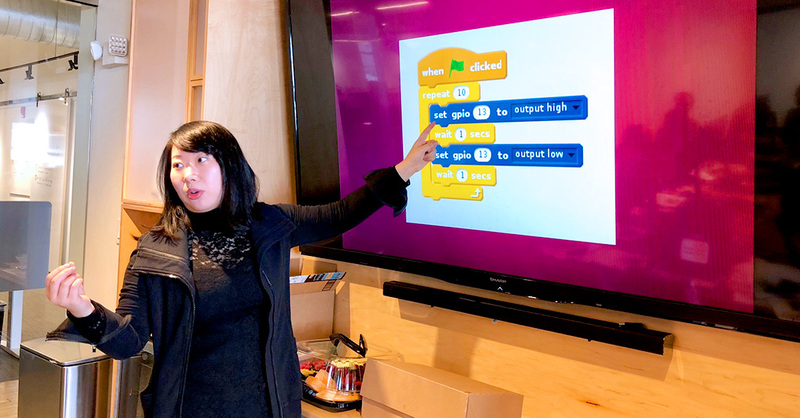 Pointing to Niara’s monitor, Robinson encouraged her to think about how she might move the graphical blocks of the programming language, Scratch, so that they echoed the scheme presented on a handout. Soon enough, a light started to blink on the breadboard. “Good question!” responded the event’s leader, Helen Yi, as she walked by. Indicating a block marked “seconds,” Yi, a data scientist who works in Philadelphia, suggested that Niara substitute the number 1 and input a fraction instead. Interesting, for now, sure. But the trick, at least for girls just entering their teens, is capturing that fascination and holding onto it. 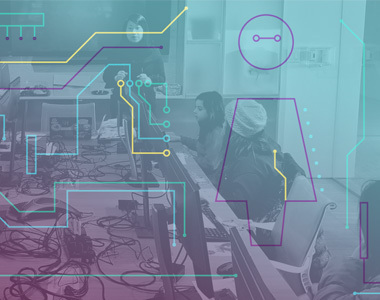 Repeated studies about girls and STEM (science, technology, engineering and math) subjects, such as this recent research from Microsoft, have demonstrated that although young girls may receive, and be enthusiastic about, STEM education, they lose interest by age 15. Only 11 percent of teenage girls anticipate pursuing STEM careers, compared with 36 percent of teenage boys, according to a 2017 survey. 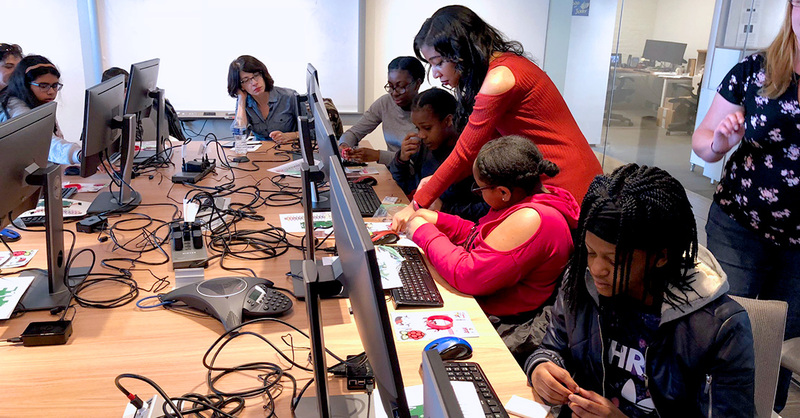 Nurturing a love for technology among middle-school girls is why Tracey Welson-Rossman, whose experience in tech includes serving as the co-creator and co-chair of the Women in Tech Summit, founded Philly-based TechGirlz in 2010. 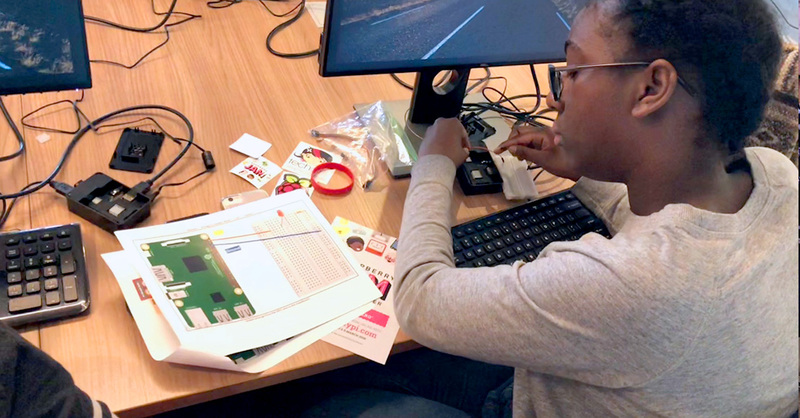 Recently, the nonprofit reached the milestone of having its 10,000th girl participate in its free TechShopz program. 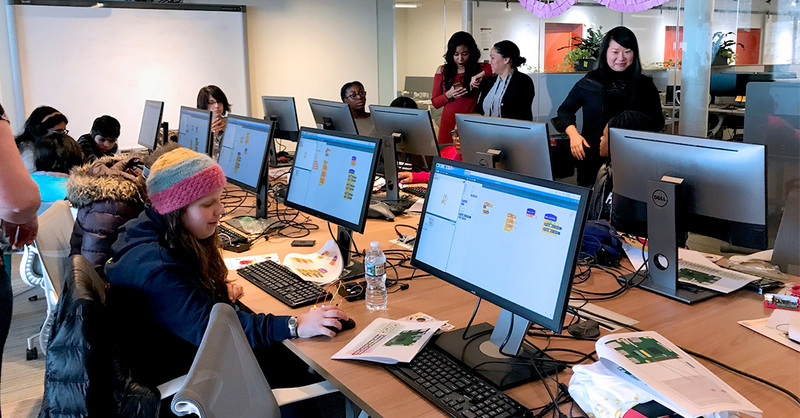 TechGirlz used the occasion to announce a new audacious goal: 20,000 girls by 2020. In Philadelphia, Bresslergroup joined in the celebration, providing space and equipment (and cookies!) to about a dozen TechGirlz from across the region. Later, as Dani found herself helping 12-year-old Amelia (pictured above), the issue came up again. 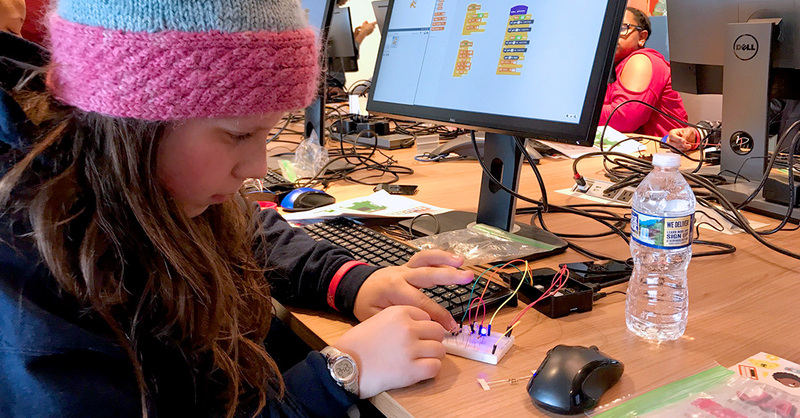 Amelia has participated in multiple TechGirlz events — and was planning to stick around for another Raspberry Pi session that included adults — but she said that despite her proficiency she might not enter tech because she wants to be a fiction writer.